The new Tata Tigor AMT is available in two trims – XTA and XZA. While the XTA has an ex-showroom price of Rs 5.75 lakh and the XZA costs Rs 6.22 lakh, respectively. The new AMT variants are likely to give a boost to the appeal of this entry-level sedan. So far, the Tigor has impressed many with its stylish notchback body-type, fairly spacious interior, and a frugal and sufficiently refined petrol engine. The added convenience of the AMT should further help this car find more takers. Prices of the AMT variants start at Rs 5.75 Lakh. The fully-loaded trim costs Rs 6.22 lakh. The new AMT models cost roughly Rs 40,000 more than the corresponding MT trims. The AMT Tigor is almost a lakh rupees cheaper than the AGS models of the Dzire. With a price premium of just about Rs 40,000, the automatic gearshift models are pretty high on the value-for-money quotient. The new Tata Tigor AMT models are available with a petrol engine option only. 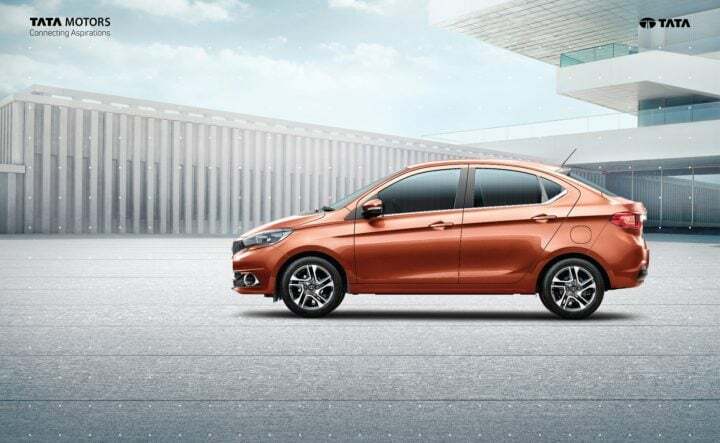 Powering the petrol model of this compact sedan is a 1.2-litre Revotron engine that outputs a maximum power of 84 BHP and a peak torque of 114 Nm. The engine comes mated to a five-speed AMT (automated manual transmission). There is no change in the mileage. Unlike torque converter automatics, AMTs aren’t fuel-sapping units. Hence, one can easily extract as much as 20 kmpl on the highways. Even in urban conditions, this car will offer roughly 16 KMPL. It is noteworthy that in a mileage conscious market like ours, having a high fuel efficiency helps the sales of any car model. Hence, the new Tigor AMT automatic models, which come with fuel efficient engine along with a long list of features, should enjoy a wide appeal. Tata Tigor AMT is available in two trims – XTA and XZA. The new model gets all the colour options that are available with the XTA and the XZA trims. Being merely a new variant, there is absolutely no change in the design or styling of the car. Hence, even the dimensions remain the same. The Tigor is a sub-4-metre compact sedan that boasts of a notchback design. This makes the car avoid suffering from the oddball proportions that many other sub-4-metre sedans are marred with. What do you think of the new AMT automatic variants of the Tigor compact sedan? Do you think it can bring in more customers under Tata Motors’ umbrella? Do you think the new Tata Tigor AMT models justify the price premium of around Rs 40,000 over the MT models? Share your thoughts with us by penning them down in the comments section below. Also, stay tuned to CarBlogIndia for more on the Tata Tigor AMT Price, Specs, Mileage and Dimensions.